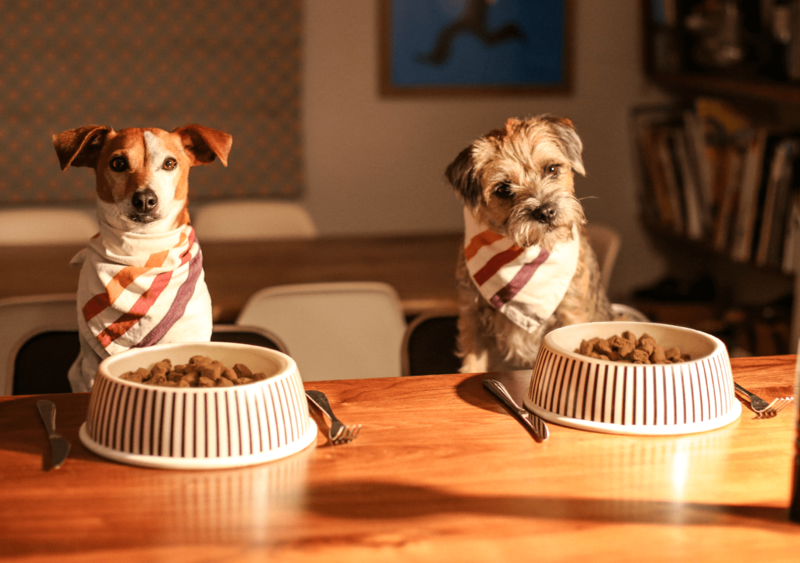 Baking The Nation 'Dog Happy'! 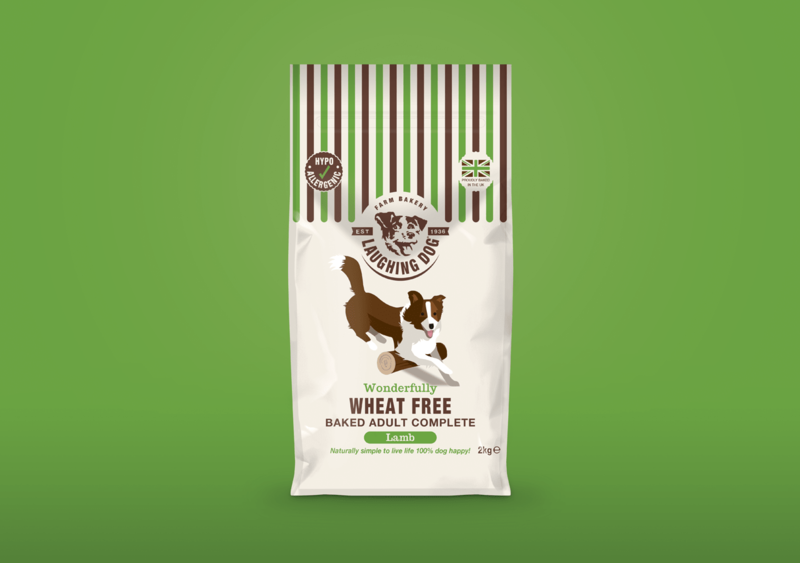 Over the last five years, we’ve helped Fold Hill Foods build Laughing Dog into a high-quality, well-differentiated brand with a strong direct business model. 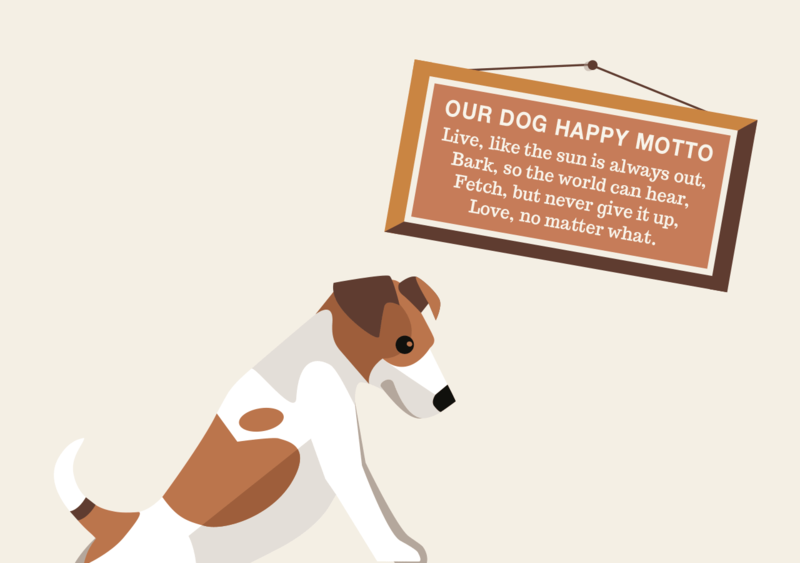 In a category dominated by big players with huge resources, we’ve used our brand development process to create a unique story and a distinctive look and feel for the Laughing Dog brand, enabling it to punch way above its weight and gather a loyal following of both retailers and consumers alike. 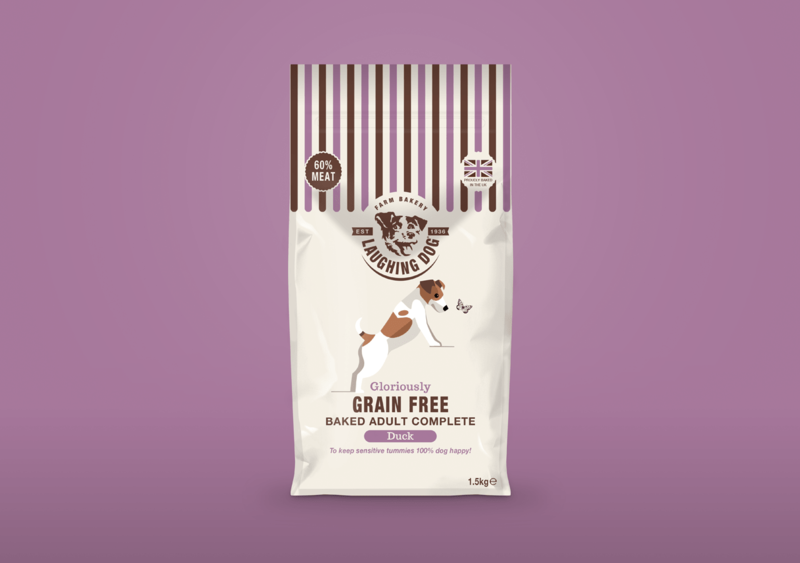 Our recent work for the brand’s newest Gloriously Grain-free range is no exception and has taken the brand to a whole new level. 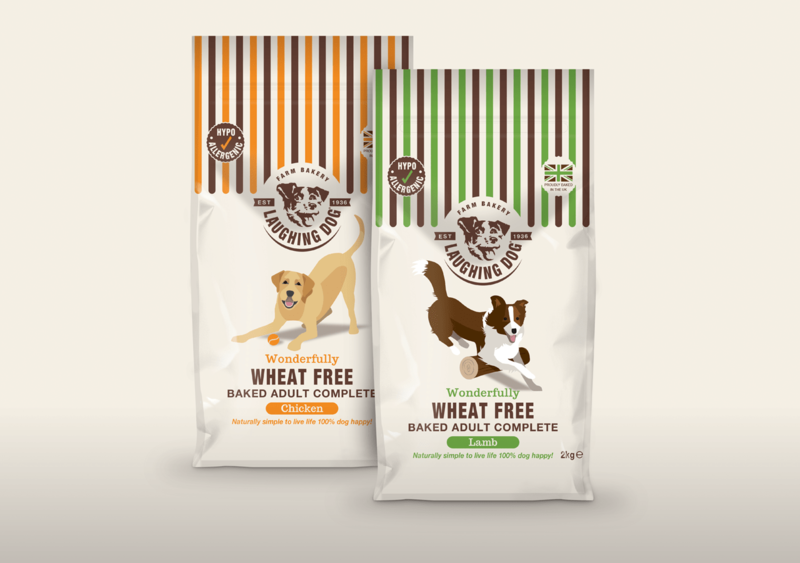 The new design is warm and approachable and coherently captures many of the brand’s values. With a nod to tradition and craftsmanship, the use of the shop canopy banner across the top of pack suggests a local butcher, baker or greengrocer; an artisan who cares for his produce. 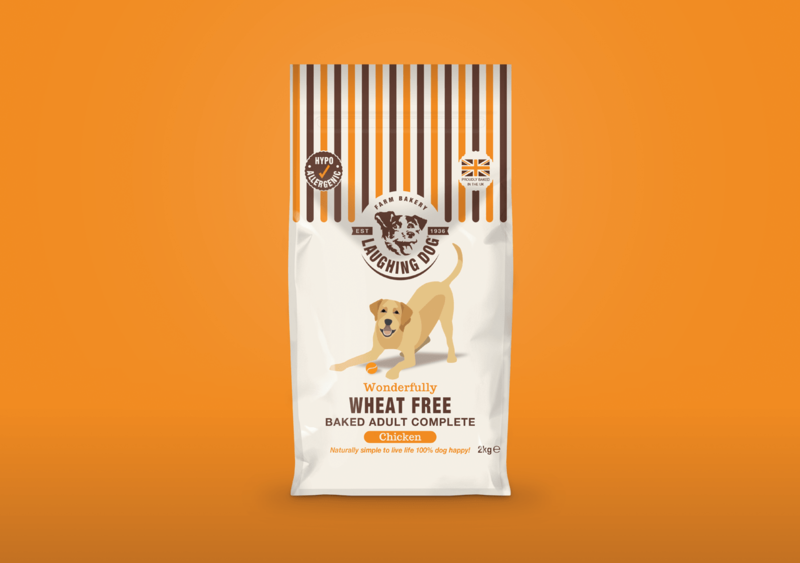 The packs also reflect the 40-year long heritage the company has of hand crafting the best pet food possible, hand baked at the farm’s bakery. The pack colours are more muted and pure, communicating the wonderfully natural ingredients that are either grown on the Fold Hill Farm in Lincolnshire or meticulously sourced with full traceability. 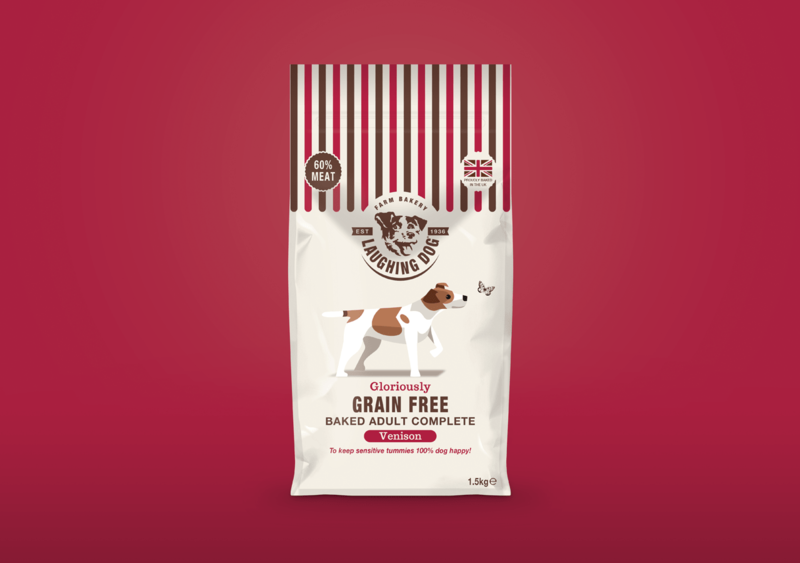 Brand Creation / Brand Strategy & Positioning / Vector Illustration / Packaging Design / Graphic Design / Sampling / Exhibition Design / Dog food branding.